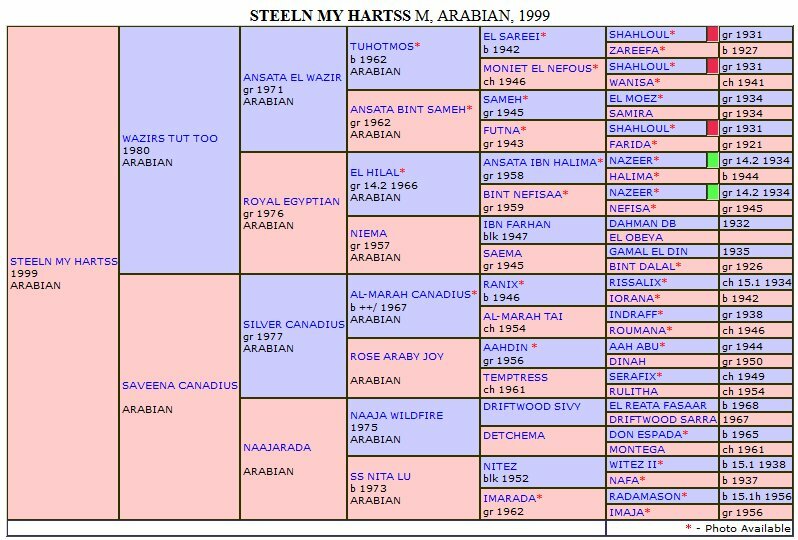 This little mare is the product of an eclectic combination of Arabian breeding. Her top line is Egyptian, and her sire won money first on the race track, then in reining. Very talented horse who did quite a bit of everything. Her bottom line is a combination of Crabbitt and Polish breeding. 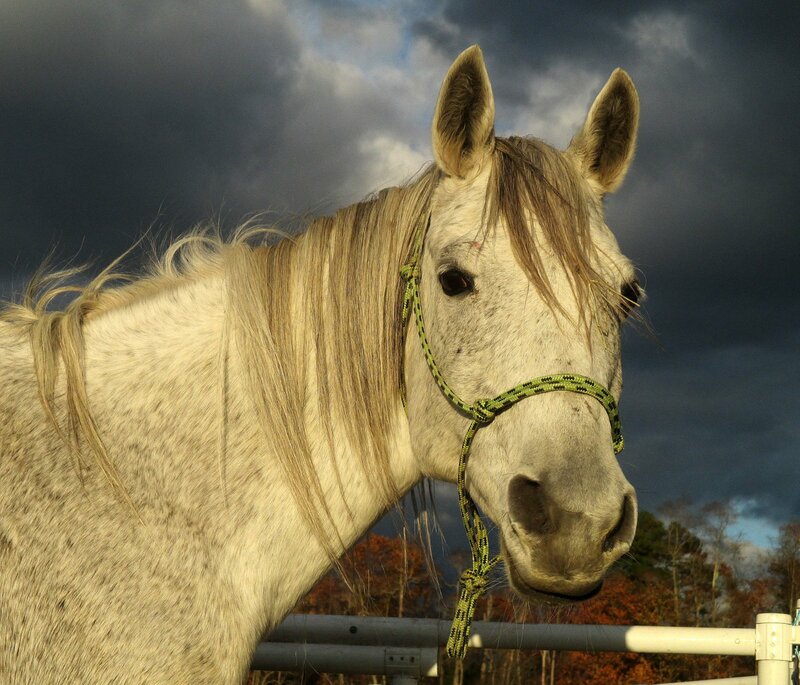 Not having done much her whole life except ring work and some pleasure trail rides, she comes to me as a 15 year old who has sat around looking beautiful in the pasture for the past couple years. I saw her photo (below) on Facebook, her owner (who is also her breeder) is in a pickle with a divorce and a forced sale of her family farm. Sad. 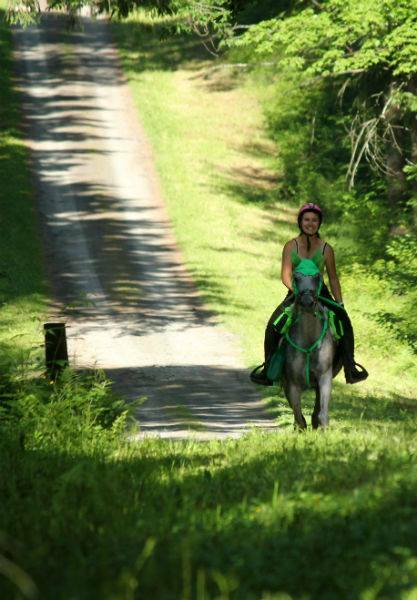 As I have become more involved in the endurance world again in 2013, I have been searching for a young, gray (my favorite color) Arabian mare to start in this sport as a back up mount. 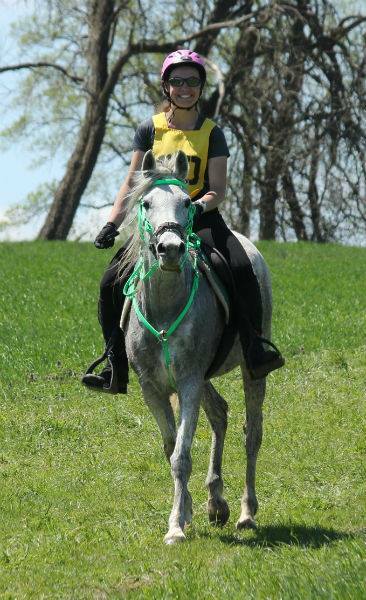 I am also getting more involved in Orienteering, and it’s always nice to have a second horse in the event I can convince someone to join me on a competition!!!! Albeit she is 14 at the time I purchased her, and not a fun youngster project, she was calling my name and so I listened and went to meet her. WOW, what a personable mare. It must be a gray thing … because she is in-your-pocket and loves to be petted and follows you around the pasture…just like my other gray mare, Praire. I am totally in love with this mare. She is absolutely wonderful to ride and to work with. Stay tuned for adventures on Steel. She has completed two CTR’s and finished with top scores. Third at Cheshire and First at Brookfield. 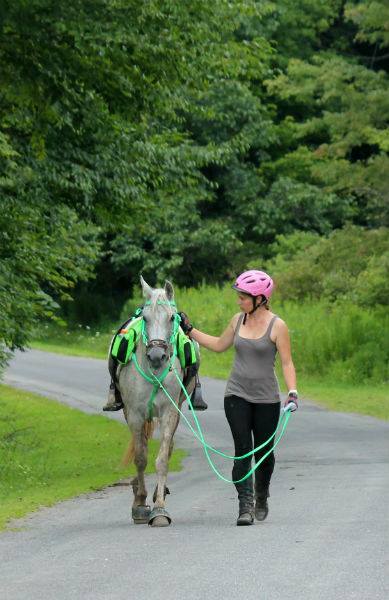 She finished her first 50 mile endurance ride at Big Loop Boogie on August 16th 2014. She rocks!